Arcane Flamboyance is made of pure fresh cane liquor matured in cherry cask giving its color and smoothness. 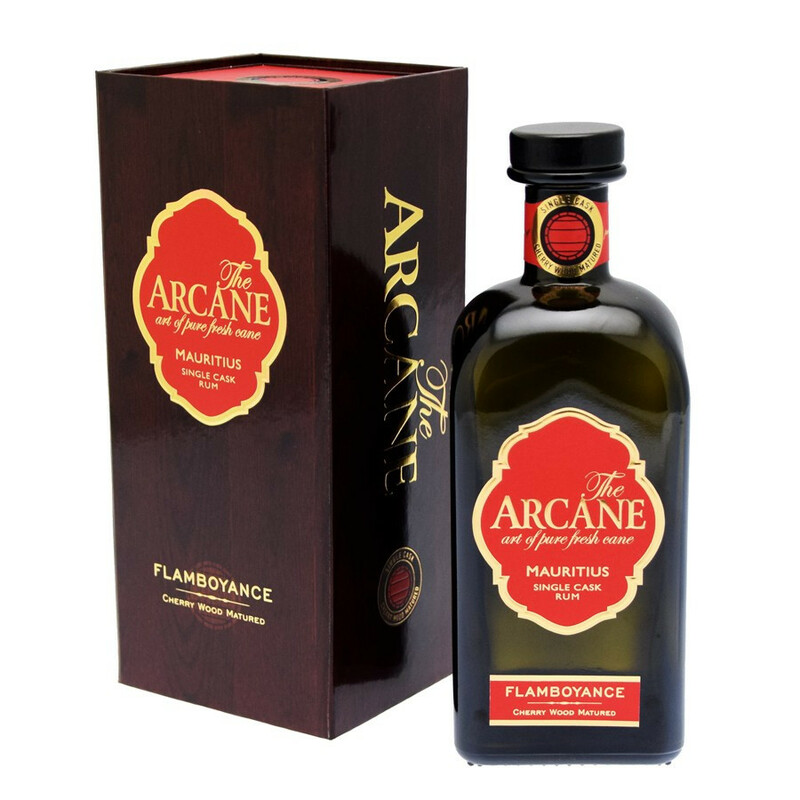 Arcane Flamboyance comes from the best cane terroirs Mauritious, in limited edition 1000 bottles, witch makes it unique. Arcane Flamboyance, Single cask, is made of pure fresh cane liquor matured in cherry cask giving its color and smoothness. Subtil, smooth, Arcane Flamboyance reveals incredible back cherry notes hinted with spices and maple syrup along with taste of old Porto. Their rum is made only from the distillation of fresh sugar cane juice, retaining all of the pure fresh sugar cane aromas. Colour: golden yellow with copper highlights. Nose: delicate scents imparted by the cherry wood maturation. Oriental spices are married to sweet oranges and baklavas. A while in the glass reveals notes of black, wild and tart cherries. Palate: smooth and mellow with an oily texture. A delicious, warm red fruit sauce, with various spices and a musky scent of Port. Finish: richly perfumed and quite subtle.